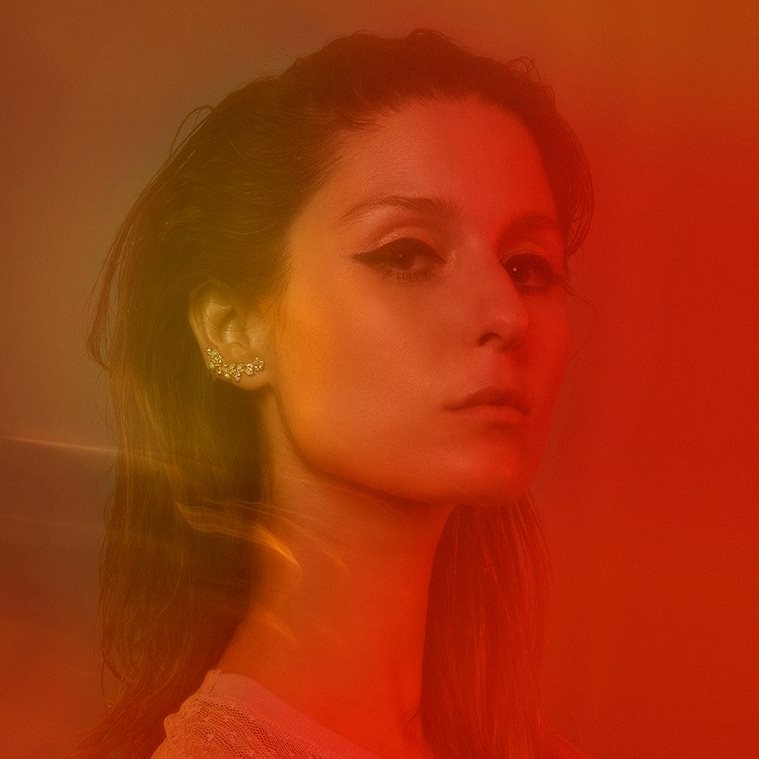 (Los Angeles, CA) Singer, songwriter, poet, designer, entrepreneur and unstoppable force of nature, Francisca Valenzuela is a phenomenal multifaceted artist who has commanded stages in Latin America, Europe, and the US. Born in San Francisco, USA, of Chilean parents, Francisca’s career includes platinum and gold albums, world tours, a Latin Grammy nomination, and found a major music festival. 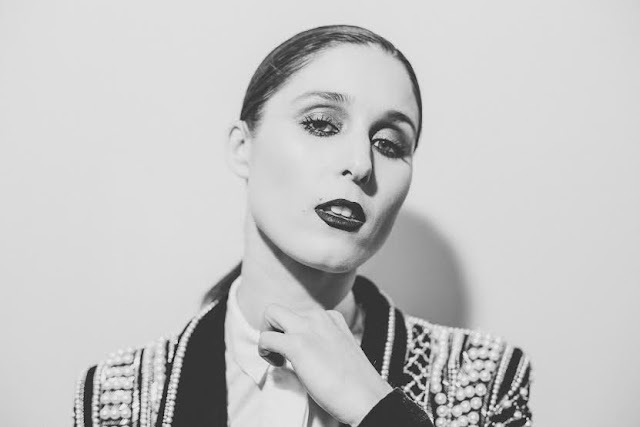 She has shared stages with U2, Café Tacvba, Ximena Sariñana, and many others. She received the 40 Principales América Award and the Best International Artist at the MIN 2015 Independent Music Awards in Madrid, Spain. She designed and launched two clothing lines with the Chilean retail brands: Work it! and Look Sharp! Currently, Francisca is an ambassador for the It Gets Better Foundation and has been selected as a Global Shaper by the World Economic Forum. Last year Valenzuela founded and organized the Ruidosa feminist festival. Her most recent album is Tajo Abierto. R360. You released Tajo Abierto in 2014. Now that you have co-founded the Ruidosa Festival, started Frantastic Records, advocated for a change in Chile’s abortion law, launched clothing lines and filled venues and festivals on three continents, it sounds like you made the last lines of the chorus of your song “Almost Superstars” real - you “found the time, the place, the way and the will to be you”. Or is this just the beginning and we are watching a woman in the process? Francisca. What a great observation. It is lovely to hear. I am going to get all philosophical here. I think it is because it ages well. I started young and I have always been kind of a racehorse and working and being very excited and being offline in conferences and stuff. I am still learning to make a career the way I want to and I have been lucky to pursue art and music and make it sustainable which is itself quite an accomplishment today. I have learned a lot, but especially spending time abroad and being in LA is a new chapter coming into my life where I have more strength and more clarity and more confidence. I can actually understand in an artistic sense what I want to make. In the past I have not done always what I wanted, but what has come. Now the terrified insecure teenager has slowly come to the point of knowing what I want and to move forward. R360. The Ruidoso Festival is one of a number of music initiatives strengthening the power and influence of women in music. Has this activity generated meaningful changes in the music industry – are there more women in charge at all levels now than there were when you started Ruidoso? Francisca. I think there has been, not only in the number of women entering the field but the amount of noise they are making. I think it is very important to call out the bad behavior in the music industry and the Latin music industry that before were not identified as such, to call out the lack of presentation of women. When I started 10 years ago I was lucky enough to be in the studio the big Latin guys, but I was the only woman and it never occurred to me that a woman could be a music producer – I had never seen that before, especially in parity like one on one; everyone I negotiated with at labels or in production were men. Now you see a broader spectrum of music made by women, you have the examples of storytelling by women and a demystification of the process of producing. I would say that at least in the Latin American circuit, in positions of” power” like in corporations, I would say that it is the same, but I have seen more independent organizations pop up with the diverse leadership of women and men of all ages and walks of life. In the Latin world there is more diversity taken into consideration…all of these examples help and hopefully, society will follow. R360. I watched the videos from the Ruidoso conference panels and there were plenty of men there -- and there should be. Is part of your strategy to educate men about women’s role in society? Francisca. Absolutely. It’s a society issue. Women’s rights are human rights – it is a community-based issue. I think that on the one hand is empowerment and self-confidence of women. 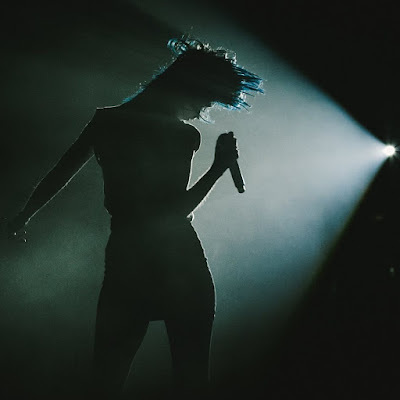 As a fan and a female, it is important for me to see women on stage. The same is true for men to see the women on stage and hear their stories. When we had Ruidoso in Santiago Chile, our first international speaker was Jessica Hopper, former Editor of Pitchfork. The majority of the audience were journalists and writers who respected her, but it was a revelation to them to hear this very relevant voice in the music talk about gender issues. I don’t want to exclude people or be combative. It is very important to include everyone in the conversation. R360. Chile is an interesting case – it is a Latin country with a female leader and two women who are national culture guardians – Gabriela Mistral and Violeta Parra. Yet it is a very patriarchal culture. In your introduction to “Catedral” at PST, you spoke of the Church. What does the Church have to do with the state of women in Chile? Francisca. Well, Chile is weird in the Latin American context, a dissonant country in terms of development and society. We have in our isolated, relatively small country a very hypercritic, very cultish, very political, very artistic community; it is an artistic-driven kind of place, but very conservative. It is contradictory. President Bachelet is a self-described agnostic who is divorced, but we have a strong presence of evangelical churches and hard right organizations like Opus Dei and other Latin American phenomena of the Church that are very powerful influences. They lobby and provide political funding. And they somehow still have this authority. I was not Catholic, but totally was immersed in the Catholic ideas of not being gay and going to church and feeling guilt…it was a big pressure.. I hope it will change. The right is very troubling in Chile and the US. R360. Will we see the Ruidoso in California? Francisca. I think so, we want to do something in 2018 in the LA area. This year in January we had one panel in another festival and we had a multilingual./multicultural panel. Next year we hope to have our own conference. Creo en lo que hay. But you do believe in good…you are an ambassador for the It Gets Better Foundation. And you do believe in evil – you fight unjust laws that limit women’s freedom. And you believe that things can change – that is why you started Ruidoso. Have you changed since you wrote those lines, or is there a deeper practicality in them? Francisca. I think when I sing those lines I am defying the ideas of the pre-conceived institutional notions of good and evil. Not in a humanistic sense of values like human rights. There are institutions that give themselves the authority to say what is right and wrong and they just create them - they are self-serving. I am defying the cultural construct of good and evil and defined by self-serving institutions. R360. I am not sure if your lyrics in this album are surgery or autopsy. Any thoughts? Francisca. You mean the album title, Tajo Abierto (Slice Open) I interpret that as unzipping the body, not slicing it open like an autopsy, but possibly there is some autopsy there. R360. With that, we will leave it on the table, so to speak. Thank you.